We’re often asked about participatory workshops for young people so please take note of the opportunity detailed below and organised by our friends at the Citizens Theatre. 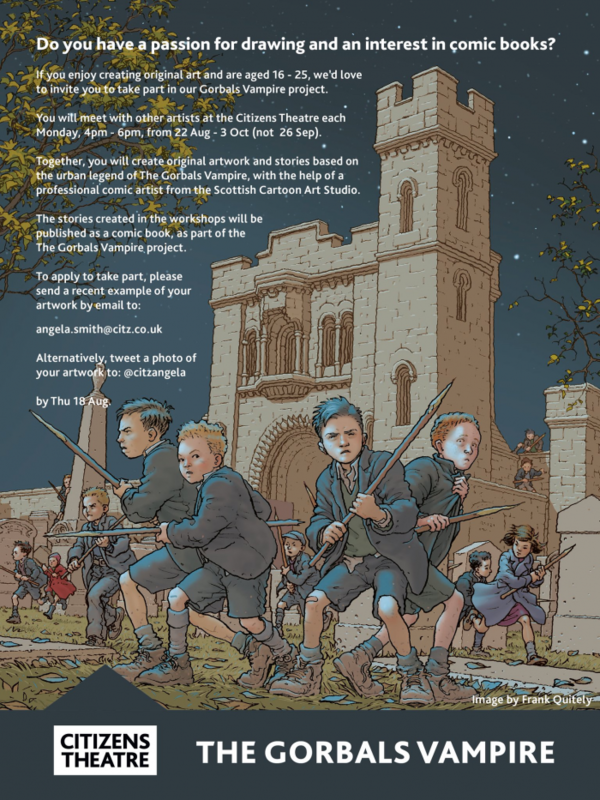 We’ll have more to say about this exciting project closer to Hallowe’en when “The Citz” will also present a play concerning the curious case of The Gorbals Vampire. In the meantime keep an eye on the #fizzers10 hashtag in the next few weeks for an exciting announcement concerning a drawing competition open to children across Glasgow.